Get to know our services! Magnòlia provides its families with a set of services in order to complement our task in the best possible way while strengthening the relationship with them in our joint work of educating. The dining room is an area to learn healthy habits and fundamental behaviours. The school provides with a cooking of its own, and menus supervised by the pediatric service and the school’s nutritionist. Both working to ensure it fits the recommendations of the Generalitat of Catalunya for a healthy school lunch program. Aware of the importance of a good health and habits since the early stages, the school has introduced in recent years ecological foods such as: rice, legumes, pasta and yogurt. At the same time, each dish is prepared using olive oil. Both during lunch and playground time, the teachers will be watching over the children. Also, after lunch the children enjoy a series of games and activities in English. The main goal of our department, is to advice families as well as staff on how to walk hand in hand with the children so the achieve their full development. The team consists of a psychologist specialised in the early stages of education (aged 0 to 6), and in the early detection of learning difficulties (as well as other pathologies). 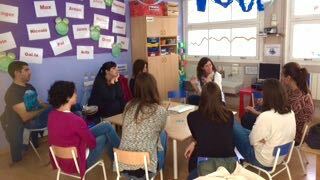 On the second stage of Early Years education, a psychopedagogy evaluation of the most significant aspects of the learning process is carried out. The outcome, is passed on through an annual report. From then on, the team organises reinforcement sessions with reduced groups to support those students that need it. In Magnòlia we are always looking for new advantages and improvements to give our families the best service and quality. For this reason, we offer a telemedicine service, a 24h online pedriatic assessment service with videoconference or voice call that allows us a quick and direct contact with the Children’s Hospital of Barcelona. Through this service, our school is always informed and advised on the health issues of our children. The academic year begins on the first days of September and lasts until the last days of July. The school remains open during Christmas and Easter. The academic year begins on the first fortnight of September and lasts until the last days of June as it follows the official calendar of the Generalitat of Catalunya. The school remains open during Christmas (Winter Club), Easter (Easter Club) and July (Summer Club). Activities designed for a linguistic immersion in English. The school remains open during three weeks in august for both the First and Second Early Years Stage. 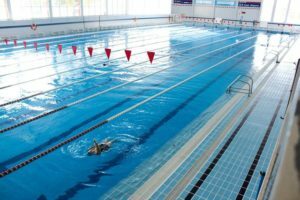 From the month of April, we offer the possibility of taking a swimming course for beginners addressed to children so they acquire a correct swimming technique and enjoy themselves in a new environment. The swimming course takes place during school hours in the facilities of Can Dragó (5 minutes away from the school). The facilities include a swimming pool specially designed for Early Years education. The teachers and specialised instructors are in charge of accompanying and the well-being of the children at all times. The journey is performed by bus. Aware that the education of our children is a daily challenge, the School for Parents has been created as an space for families to share experiences, life lessons and deal with topics that are concerning for the everyday life of our sons and daughters. School for Parents is carried out by the head psychologist of the school, who is specialised in Early Years education. Together, we will look for strategies to better understand the children in their different evolutionary stages. Also, you will be advised about tools and the means to use with the children to feel confident and guided in your parenting and work to educate. At the school we use the KINDERTIC APP, which replaces the old paper agenda and provides families with more ease and comfort when communicating with the school. With this application families are informed of all the school’s events and can have an optimal follow-up of the experiences and the evolution of their child in the classroom. For the Kindertic Platform, families receive informative circulars, a calendar with the planning of planned activities throughout the year (festivities, meetings, departures …), menus, the daily agenda of the day and all the important documentation of that course your child’s school.